Sorry, Kemba. 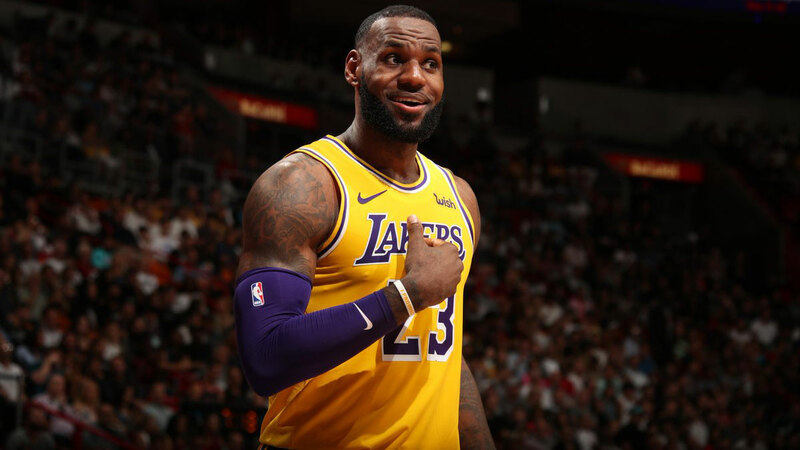 LeBron James was simply in his bag tonight and just erased your 60-point gem with his own 51-piece, and more importantly, a win over the Miami Heat, 113-97. The Los Angeles Lakers superstar, who played for the Heat from 2010 to 2014 and led them to back-to-back championships (2012, 2013), torched his former NBA team by shooting 19-of-31 from the field—including 6-of-8 three pointers and 7-of-10 free throws—and stuffing the stat sheet with eight rebounds, three assists, two steals, and a block. The 12th 50-point game of LeBron's career is now the most ever scored by a Laker against Miami, where he last won in 2014 (His Cavs were 0-7 there). He became the third player other than Kareem Abdul Jabbar and Kobe Bryant to drop 45+ markers in his 16th year or later. The King is also the sixth player to reach the half-century mark this young season.